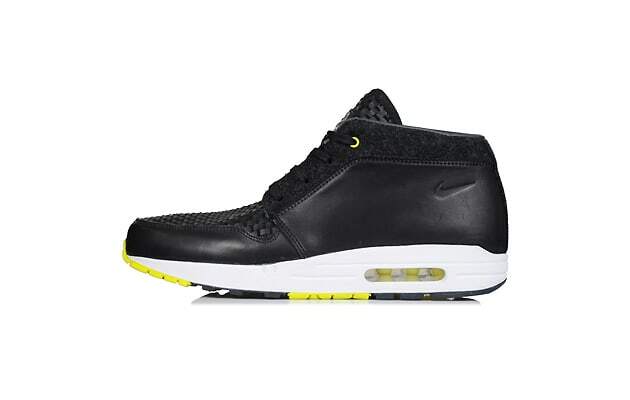 Nike Wardour Max 1 PRM NRG "Black"
Nike&apos;s recent mash-up, the Wardour Max 1, has just been dropped off in premium form, here featuring a luxurious black leather upper. The mid-cut option showcases an intriguing woven effect at the toe box and tongue, as of course the brand&apos;s Air Max 1 sole unit sits underneath. Minimal touches of yellow pop against the majority black base, as you can grab these today through fine Swoosh stockists like Hanon.